AMURT Burkina Faso was founded in 1986 in association with the Department of Health and the Deou medical centre in the district of Deou. These desert communities have no roads, electricity or telephone communications, scarce access to safe water and health facilities. AMURT Burkina Faso’s core work has been in health and midwifery training. 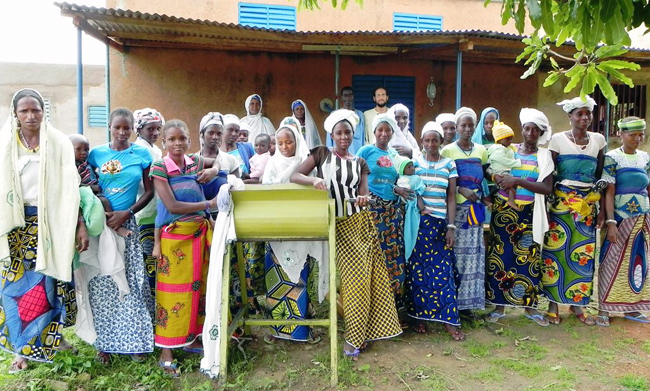 To reduce infant and mother mortality rates traditional birth attendants known as AVs (Accoucheuse Villageoise) are given training and delivery kits with all the equipment needed to perform safe and hygienic deliveries. One AMURT trained local midwife, Marri, told us how she transferred a woman on a donkey and cart while she walked beside her the whole day, in temperatures in excess of forty degrees centigrade. This clearly demonstrates the commitment of these women to provide the best care they can in any situation. AMURT UK has supported AMURT Burkina Faso with fundraising, grants to pay for delivery kits and project development consultancy. Please specify the donation is for Burkina Faso.